Team-based arcade racer ONRUSH crashed onto our screens this June with a unique take on racing, rewarding players for performing crazy stunts and smashing their opponents beyond recognition rather than actually winning races. For fans of this chaotic multiplayer experience, Codemasters have released an exclusive video showcasing the four brand new space-themed tracks added as part of their 4.0 update. Although these tracks are all space-themed, the trailer showcase shows that plenty of variety should still be expected from these new tracks. Teams racing on Arraku should expect to navigate crashed spaceships, giant rock formations and other planetary structures in this new interpretation of the planet Mars. In what the developers describe as a "more traditional” ONRUSH track, Cascades Way features a lush forest setting, with colourful surroundings, steep cliffs and impenetrable tree formations, providing a claustrophobic track to keep combatants within arms length. Progressively getting more wacky, Jedhora combines stunning Roman architecture with spaceships. Don't spend too long looking at the impressive visuals or thinking about the logistics of this setting to let your opponents outwit you. The developers describe this tracks as the "wild west meets star trek”. Match the chaos of the action with fire, mud and smoke in this unique track. Update 4.0 is live now, so there is no need to wait before jumping into these new ONRUSH tracks. We've got the full list of ONRUSH achievements - check the list for guides to unlocking them. 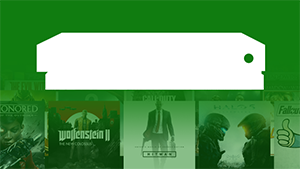 Check out our Best Xbox One Racing Games Available in 2019 article for a compilation of other great games in this genre.